Being able to express your style through dance can feel so free with no rules, with just you and the music. So when you finally get that freedom of free dress for a day or even a week, you want to be able to express your style with dance-wear (clothes suitable for movement and the genre). It can get frustrating when you don't have a back up outfit for these surprise fun free dress days. So we are here to help give you some tips on styling your look but also within the recommendations of your school, A.K.A. Simple, Comfortable, Warm. Nothing worst than trying to dance in clothes that have too much fabric, that are falling off the shoulder and getting in the way of your free movement and style. We suggest to keep it simple, to keep it to two pieces of items, either a nicely fitted crop top WITH high waisted tights or loose fitted shorts, depending on your preferred style. Most of you dance for hours at a time in the afternoons, during the day and WEEKENDS.... be kind to yourself and dress comfortably, our feet cop enough beating during the day. Toss on a flow singlet or over sized t shirt to add the comfortable look with your style. We all have heard the safety rules on how to keep our muscles warm to reduce injury. Well warmth can be stylish too. Think of those bright colours you can wear with new leg warmers or a gorgeous knitted shrug. Add some funky toe socks to your warm up look. As a dance-wear store we hope we can help with any styles and looks you are wanting to create, and we would love to see your unique freestyle LOOK! *This blog has supported our suppliers products and images. Media; Facebook, TV News, Tumblr... all network connections are great to interact with old, current and new friends but how much of it is enough?? Non-verbal language is a big part of our daily communication, conveying different meanings and gestures. 90% of our face-to-face conversations are made up of non-verbal cues. Each person interprets language differently and without the pitch or tone of the voice, without the hand movement or posture we may misunderstand an important message. The realworld is where meaningful relationships are formed. When using social media, a lot of punctuation is left out, making it easier for a false sense of communication. Today's society is made up of many culture aspects and the culture barriers can greatly influence a difficult conversation. As the new generation we need to take in consideration the meaning of our messages we are putting out through media. Photo-shopped images, false dietary tips and beauty forced expectations are all negative influences on the mind. How much is enough social media each day and when does it effect you the most?! Our sleep is precious and for the young ones they need more hours for growth. Right before bed time is when our minds are exhausted and will wander into many traps of the expectations of society. The busy news feed of the media and news around the world impacts the amount of sleep for children and teens. 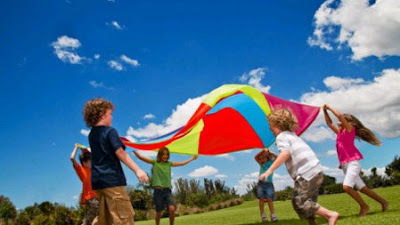 Lynette Vernon, a researcher of the Youth Activity Participation Study (YAPS) of Western Australia found "poor sleep can result in students feeling tired, moody and feelings of sadness and declines in long-term wellbeing" (2015). This does depend on the involvement of the children on social media. We are encouraging a healthy news feed, a healthy time limit of media and focusing on the positive advertisements of our community. Getting the kids out for a walk with friends where they can use their verbal and non-verbal language accurately. Let's put into practise healthy decisions to respect the social media we have today. Make-up, eating chocolate, dirty fingers or even just regular sweat are all major factors to dirty blocked pores. We all try our best to wash off most of the thick make up with wipes or chemicals but yet we are not properly cleaning out the bacteria from our skin. Facial steaming is a simple and effective way of opening the sensitive pores and flushing out the dead cells. Steaming is also an easy at home DIY procedure just in a matter of 5-10 minutes. If you are one that is prone to break outs or acne, this weekly maintenance will prevent any build up of dirt or bacteria. There are other benefits from using heat on the face such as stimulating blood circulation and releasing sweat allowing to wash away any more toxins from the system. Prepare your skin by washing off the make up or moisturiser from the pores and tie all the hair back from the face. 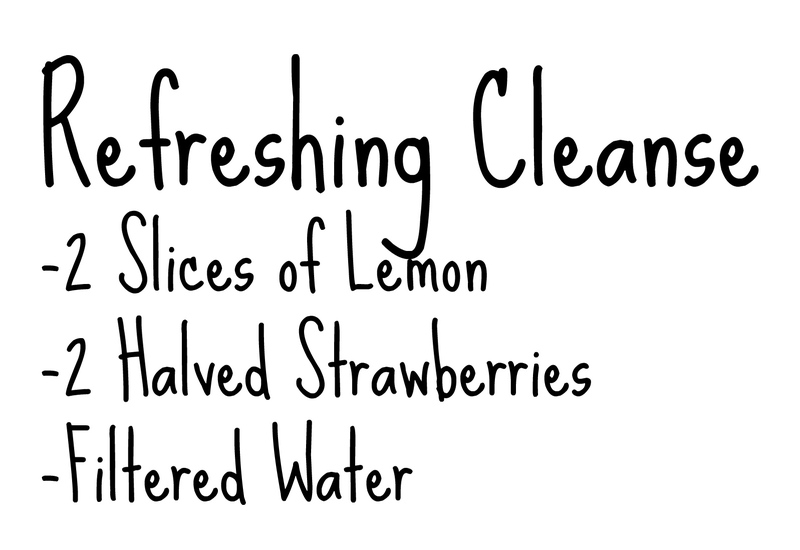 Boil the water and pour into a medium bowl. You will require a towel to cover your head and bowl, keeping in the steam. 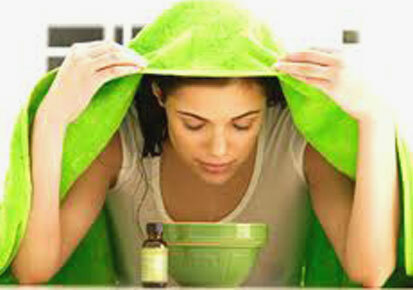 Lean over the bowl with the towel over your head for 5 - 7 minutes. Lightly wash off the sweat and softly pat dry your face. Moisturising after steaming will keep the skin hydrated. *Keeping in mind, 5-7 minutes is enough time exposed to heat before the skin will dry out. Another handy tip is to hold your face approximately 12cm away from the water. Being too close can harm sensitive skin and can scald the surface of the skin. You may want spice it up with some fragrance. By adding in essential oils such as lavender, sandalwood or eucalyptus. 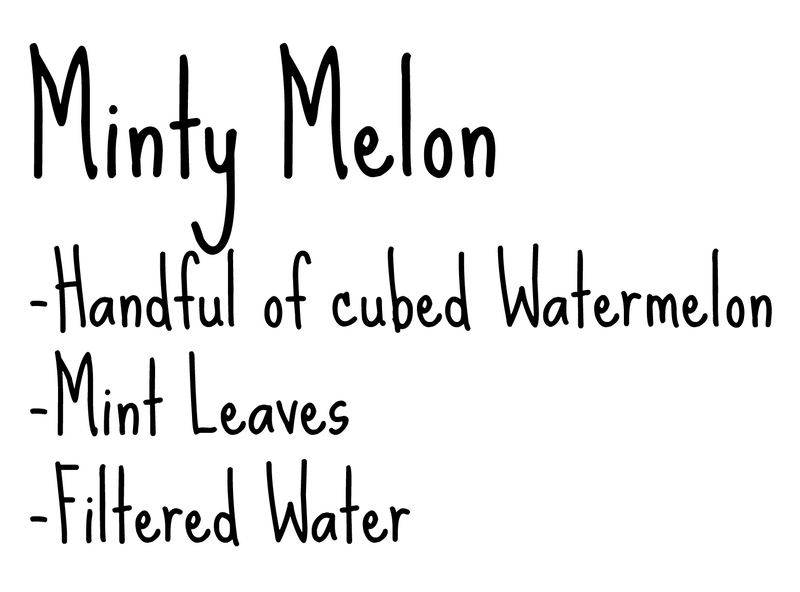 The additional oils don't add any benefits for the skin but allows for better relaxation as you inhale the steam. Summer is over and still have not accomplished that vegetable garden, nor did you nail the double pirouette turn in the holidays. No need to bash yourself up over it just because of one date in your diary. Setting goals and working towards your dreams do not always run smoothly and there are bound to be obstacles. That's the beauty about it. SO WHAT the days are getting shorter? You are one step closer to achieving your goals just by creating or planning your dreams. Why stop now?? 2016 has introduced itself quickly and is well and truly making history. January is a warm up, February is a tester and now we are mentally prepared to make 2016 a year you can say I now eat freshly picked tomatoes from my very own backyard or I can now land a triple pirouette turn. But it all comes down to YOU! Life is not luck or fate, but more so life is the Law of Attraction (Lynn Grabhorn, 2004). What you put out through thought, feelings and action, you will receive the same. Put out positive thoughts, happy feelings and give love to others and you will feel happier and more energetic and will receive abundance of love from great people around you. If you want to be successful in landing these pirouette turns you are dreaming of, you must THINK big, FEEL the muscles in your legs work and PRACTICE in every room you enter. All this dreams are accomplished by having a strong positive feeling. You are not going to get through one pirouette with ‘I am too sore today’, or ‘I've tried but…. ‘. Your negative beliefs will take over. Turn it around with ‘I am strong in my legs today’ and those legs will whip you around till the very last turn. You are simply attracting your dreams. Toxic words lead to toxic magnetic attractions (DR. Catherine Leaf, 'Toxic Thoughts'). Mental health plays a major role within sports, whether it is a team or individual sport. The powerful mind can either make or break an athlete. Don’t let these powerful toxic or negative thoughts drive you further away from your goals. Smile every time you practice, lift your chin every time you fall and just because you’re not where you want to be yet does not mean you won’t get there. Pointe doesn't come easily and naturally. A lot of practice, time and strength occurs behind the scenes of a professional pointe dancer. BUT... With one simple material, ankle strength and core balance can be improved and achieved. The elastic exercise band is used in multiple ways to target different body areas and different techniques for dancer. Here are a few to try and practice at home. These exercises will be most effective if they are performed slowly and with control. a). Starting with the band over the ball of your foot with extra band at the top to ensure the toes are covered at the flexed point. b). Holding the band tight with resistance, slowly and gradually go through the motions to a pointed foot. c). 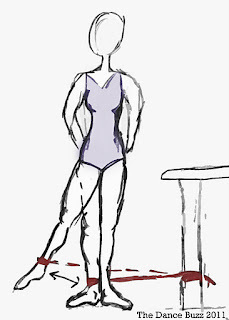 The toes should be when the foot is fully pointed and not crunched over. d). Now reverse those steps with control and in a steady motion. & REPEAT 5-10 each foot. Being strong in the legs as well as the feet is just as important for jumps, leaps and landing. This little exercise encourages the core to work and improves balanced coordination. All you need is a pole, table, or barre to knot the exercise band around for resistance. a). Placing the band around the furthest leg making this your working leg targeting the adductor and abductor muscle and knot the other end to a table leg. b). The band should be stretched from behind the body. Standing parallel and now slowly lift the leg up into the air and lowering with control. C). 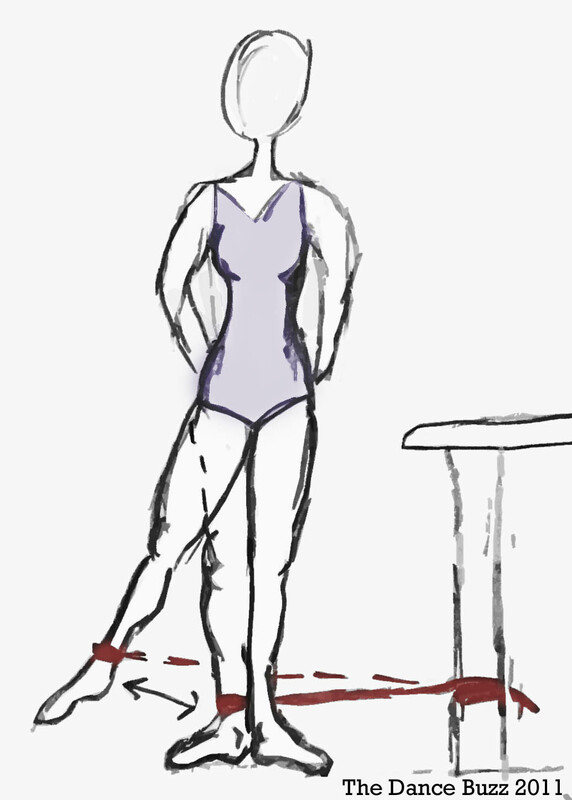 This exercise continues onto the other side by turning around and the working leg becomes closest to the table. & REPEAT 5-10 times each leg. Little practice will make a big difference when it comes to performance and technique. Don't give up on those beautiful feet and strong legs. As an energetic dancer, dancing in the Australian Summer heat, it is important to keep up the H2O. But drinking boring water every hour doesn't have to be the only way to stay hydrated.... 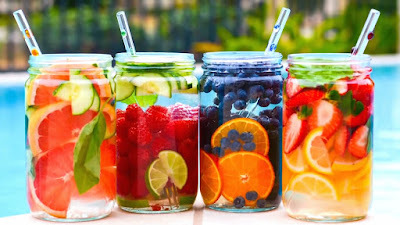 Mix it up with sweet, citrus or mint flavoured water!! 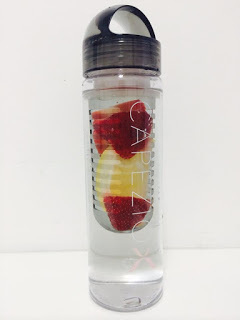 Showtime Dancewear now stocks Capezio's latest Infused Water Bottle for the best summer refreshments. 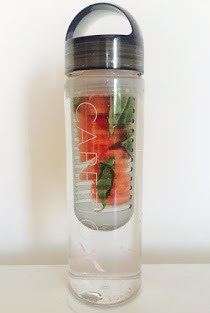 This new stylish water bottle reduces all the extra seeds & leaves in your flavoured water. As dancer's our creative minds wonder to anything that is new, fun, and challenging. It's in the blood of a dancer to learn more, learn new steps, routines and learn from other cultures. This week's spotlight of cultural dance is the Flamenco Dance. 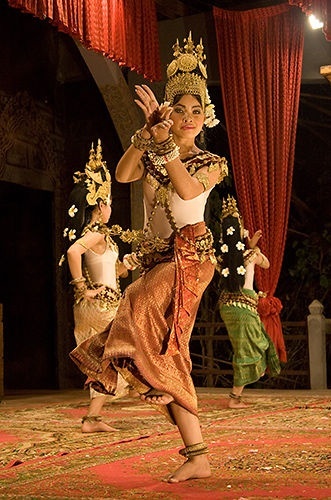 To understand a new culture or dance, it is best to learn some history of how it originated. 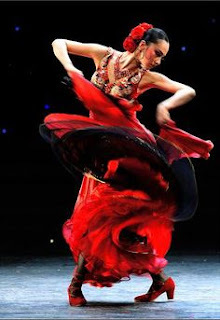 The 'Flamenco Dance' is Southern Spanish native dance and music. It is a combination of singing, guitar and dance and they are known for their rhythmic sound of hand clapping and finger snapping. The Flamenco we watch today is influenced greatly by multiple cultures. Early Greek, Roman and Indian music helped flourish this intensive passionate Spanish dance. The dancing style expresses strong emotions, pride through the rhythm of the feet. This style of music and dance is based on personal improvisation and the spontaneous traditional performance is a visual of their immediate feelings expressing the dancers personal emotions by interpreting the drumming and singing. Often the motionless start to the dance is the moment the dancer is feeling the beat and will then spring into a flamenco dance with inspiration from the music. Flamenco dancer (Bailaor) will express the great history of flamenco and its culture. This is often shown with graceful arms while enormous energy is put into the strong movement of their feet creating the iconic beat that is flamenco. Shoes are very unique in the way they feature a small area of nails embedded in the toe and heel to create the sharp rhythmic clapping sound. 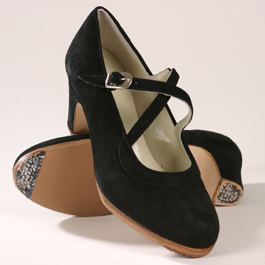 The incredible footwork within the Flamenco dance is all involving precise heel and top beats to add to the music. Native Spanish dancing is a beautiful and powerful tradition for this culture. Here is a quick video from the streets of Spain, with spontaneous and passionate artists playing for the tourists. Dancing all your life, training to become the stage performer everyone wants you to be, but there has been a change in destination or journey... Performing is consistent hard work and a lot of determination, however injuries may get in the way. Your dancing career does not have to end when you walk off that stage, dancing offers many big and exciting careers, jobs and DREAMS. Choreography - Creative minds and thinking can get you a long way as a choreographer. It's not just the stage productions that need a choreographer but TV, Movies, Fashion Shows, Commercials & Theatre. Teaching - Obvious right... but it's the biggest option available and you are able to share the fun and love for this art with young growing children. You can teach within private schools, build your own studio, teach at universities or specialist coach for particular styles. It doesn't stop there... Ever come across a highly experienced Teacher/ Syllabus designer? Christine Walsh is an ex principle dancer of Australian Ballet in 1989 but has extended her work and career to designing her own program and assessment for Australia, Japan, Hong Kong and Philippines schools. Physiotherapy - As a dancer and being very involved with the working body and muscles, you are already trained and understand how important careful treatment is for injuries. Undertaking a university degree or TAFE course in exercise science, biochemistry or bio-mechanics will aid in our physiotherapists journey. Looking for something with more relaxing, like yoga or Pilates that will help improve dance fitness and recovery & might just be for you to help others excel in their dancing career. 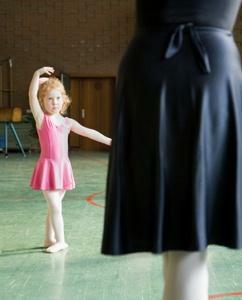 Dancewear - Now everyone needs to dance in comfortable and fitted leotards, tights, & shoes!! You understand what works best in dance clothing and are always looking for the longer lasting tights & beautiful tutus!! Dancewear brands such as 'Energetiks' & 'Capezio' were originally created by former dancers. You can become apart of a dancewear retail team, get involved with manufactures or design your own dance name. Ron Fung, Australian distributor of Sansha Pointe Shoe, brought something new to the pointe shoe industry after being an international performer. He now designs many different pointe shoe styles to fit everybody's needs. Arts & Events Management - Like to be in control and are excellent at time management and organising? This area of the arts field is the very backbone of putting dance shows together. By simply completing an events course at TAFE you are on your way to help manage arts festivals, educational institutions and administer theatre productions. Competitions and Eisteddfods need big and new event ideas that are behind the scenes and behind the stage curtains. Remember, when leaving school or have come to a new chapter, there is not just the one road to be apart of the dance life.... There are many exciting and different opportunities for you to extend your knowledge and explore. 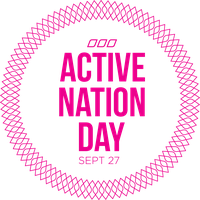 On the last Sunday of September, 27th, 2015 is a day dedicated to put your individual health first, consider Active Living to be #1 priority. Lorna Jane was the creator of this energetic day in 2012 and it was established to inspire women, families and cities to live a moving and active lifestyle. This is a solution in order to decrease our Worldwide obesity that is now more than doubled since 1980. This day is important to reconnect with your inner health and exercise and does not have to be a boring and draining day. It is done in a fun and encouraging environment along with a society of women. 'Let your actions speak louder than words and inspire others to move towards a fitter future' - Lorna Jane. It is easy to get involved as there are hosted events all around the world open for everyone to join and to have some fun. It's amazing how dance can help each individual and every culture to love externally. Pure love for our traditional dance enables us as humans to connect and understand that we are all equal. It is the power of peace and acceptance that we then learn new life experiences from those around us. EXPLORE the language and world of dance! The best way to develop a greater and passionate love for dance is to step out and learn from different cultures and styles. * Cambodian traditional dance consists of elaborated costumes and performed in the spirit of prayer. 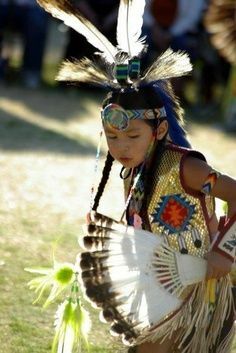 * Children engaging in the spirit of the Pow Wow. It is the Native American's way of coming together to share stories through dance and singing to create relationships between families. By looking closer into these beautiful communities and acknowledging the many deep and meaningful reasons as to why people are loyal and dedicated to their own beliefs of dance can widen our own appreciation of this art. 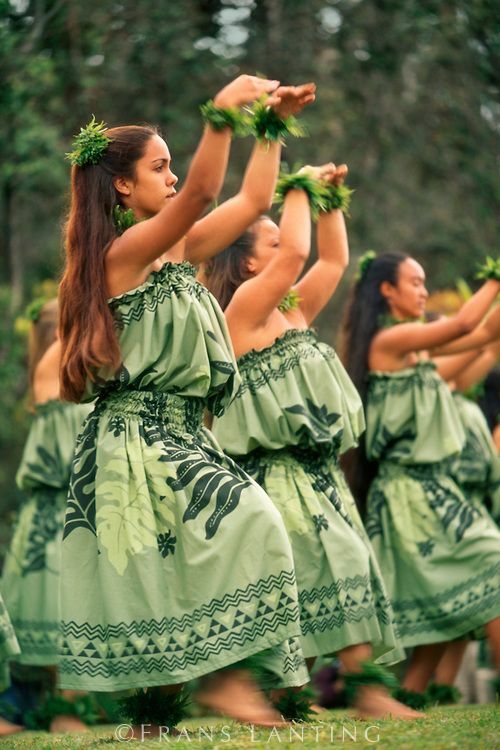 * The Hawaiian Hula was originally performed for the volcano goddess and was performed to poetic chants. Without sharing our experiences and stories of cultural dancing, we as a nation would not have grown wiser and more creative in this art of dance. Be grateful for the expressions of the Tango, Swing, Indigenous dance, the lively movement of Cha Cha, Salsa and Samba. Each has a different part to COLOUR THIS EARTH. Visit Showtime Dancewear's profile on Pinterest.